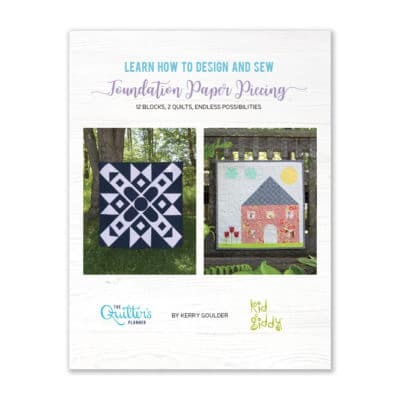 This PDF download includes our two most popular pages of the Quilter’s Planner: the Project Planner and the Projects At-a-Glance. 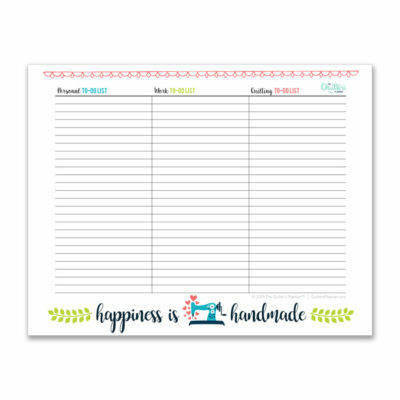 This downloadable PDF has fillable fields so you can fill out what you want on your computer first, then print it out, cut it out and add it to your Quilter’s Planner. 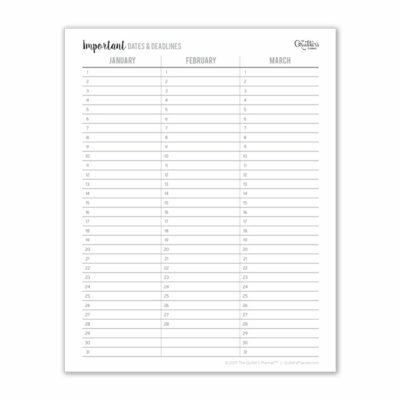 Print out as many of these project planning pages as you need throughout the year and add them to your planner with some pretty washi tape or put them in a 3 ring binder! Planning out your quilting project is half the fun of being a quilter. Think through your game plan, and make notes. Add a picture of the pattern, or a sketch in the graph paper, keep track of your supplies and your progress right on this page. You can even attach little swatches of your fabrics at the bottom with glue dots so you can take this page with you to your local quilt shop when you need to do more shopping. The best part of all is that a completed project planning page is a snapshot in time of your quilting life. Keep it forever to remember the projects you’ve worked on, even if you give them away as gifts to loved ones. Nothing feels better than keeping an organized list of all the projects you have in the work! 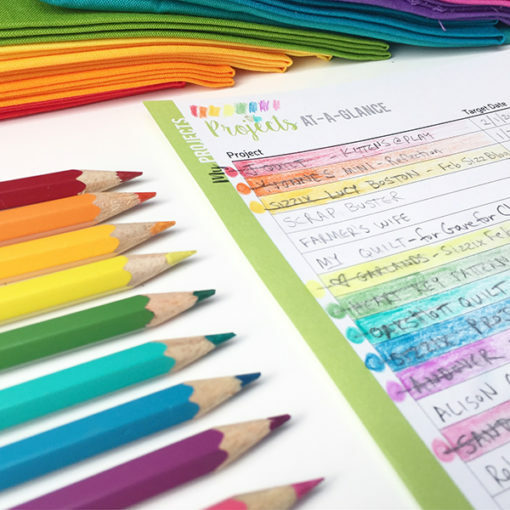 We know that sometimes you might like to update your list to keep it neat and tidy, and so it’s helpful to have lots on hand. 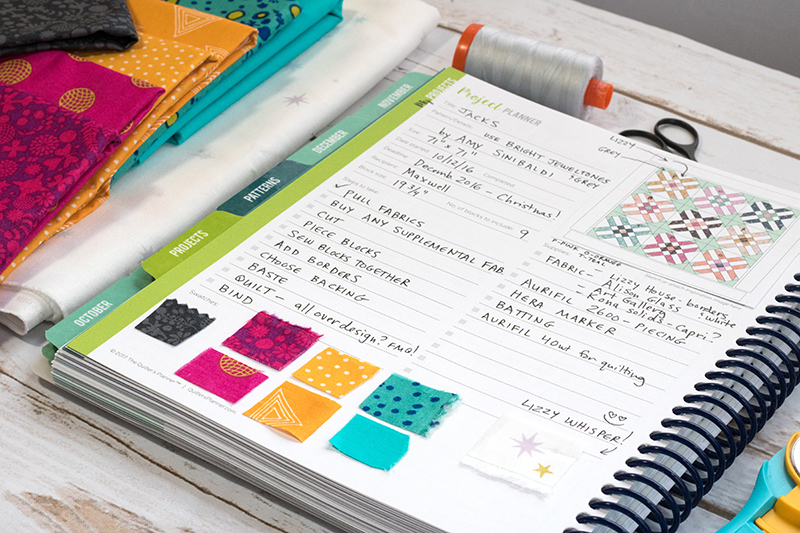 Easily add fresh copies of your Projects At-A-Glance list in your planner with your favorite washi tape. This downloadable PDF has fillable fields so you can fill out what you want on your computer first, then print it out, cut it out and add it to your Quilter’s Planner.